Acura ILX is a premium compact sedan introduced as a 2013 model. For 2014, Acura ILX gets more standard features, including upgraded 17-inch alloy wheels, new leather seating surfaces and leatherette door liners. An eight-way power driver's seat is now standard, along with heated front seats, a Multi-Angle rear-view camera and a new subwoofer. Active Noise Cancellation is another new standard feature, promising a quieter cabin. Most of these features were previously part of the optional Premium Package. The Acura ILX is reasonably roomy by compact car standards. Two average-size adults can ride comfortably in the rear, with only minimal cooperation from front seat occupants. Like almost all sedans in this premium compact class, the ILX is rated for five passengers, but that center rear position is only suitable for someone of diminutive stature, or someone you don't like. Acura ILX shares its the basic structure and powertrains with the Honda Civic though there are as many hardware distinctions as there are similarities: The styling is different and exterior dimensions are different. Inside, the Acura cabin benefits from premium materials. The Acura gets more powerful engines and a more advanced front suspension. So they are hardly the same. The ILX rides a shorter wheelbase (105.1 inches versus 106.3), and is longer, lower, and wider than the Civic sedan: The ILX measures 179.1 inches overall, 70.6 inches wide, and 55.6 inches tall. Also, the ILX is distinguished by its more sophisticated double-wishbone front suspension. There is no shared sheetmetal between the Honda and the Acura. The Acura ILX cabin is furnished with high-grade materials, with no sign of the interior cost-cutting that diminishes the latest Civics, and the ILX benefits from more sound-deadening measures. 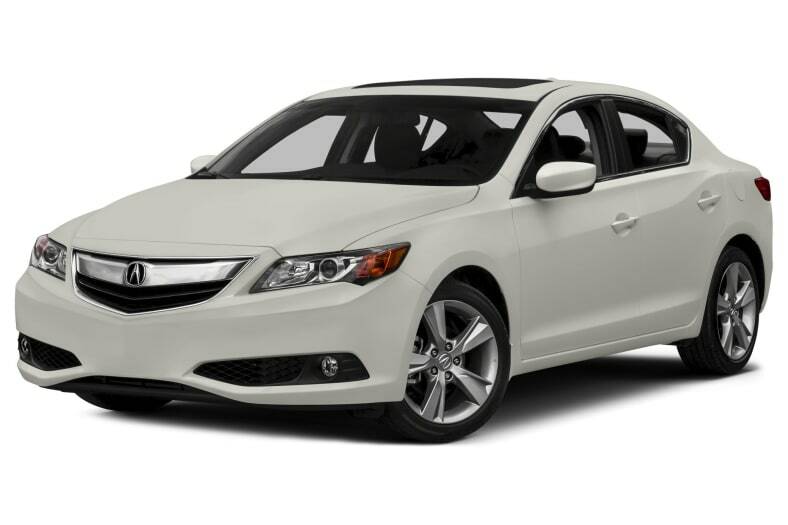 Acura also claims higher rigidity for the ILX's unibody, which results in a smoother ride and better handling. The entry-level Acura ILX 2.0L comes with a 150-horsepower 2.0-liter four-cylinder engine and a 5-speed automatic with Sequential SportShift and Grade Logic Control. Stepping up a notch, the Acura ILX 2.4L is motivated by a 201-horsepower 2.4-liter four-cylinder engine paired with a 6-speed manual gearbox (no automatic option). There's also a gasoline-electric ILX Hybrid, a first for Acura. In the hybrid, a 111-horsepower 1.5-liter four-cylinder engine is augmented by a 23-horsepower electric motor, sandwiched between the engine and the continuously variable automatic transmission. The basic combination is identical to the one used in the Civic Hybrid, but with an intriguing distinction. In the ILX, computer management is programmed for a little more punch when tramping hard on the throttle. That extra punch, which is all but intangible, comes at the expense of fuel economy. The Civic Hybrid carries EPA ratings of 44/44 mpg City/Highway. The ILX is EPA-estimated at 39/38 mpg. Like the Civic, the ILX Hybrid includes a little dashboard button marked Eco. Punch the button, and the system computer adjusts its mapping to make the hybrid more miserly. Acura ILX competes with the Audi A3, Buick Verano, and Volkswagen CC.